Shane McCormick of Burlington is seen in this Halton Police handout. 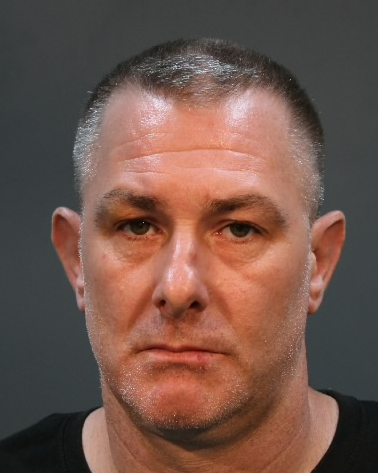 A Burlington man is wanted by Halton cops in connection with an assault investigation and a warrant has been issued for his arrest. Police allege Shane McCormick, 42, was involved in a 2015 violent dispute where he assaulted and threatened a victim, damaging property. He was found guilty of assault, uttering threats, and mischief and has allegedly failed to report to his probation officer. McCormick’s whereabouts are unknown and he’s wanted in other jurisdictions for theft, possession of break and enter tools, and breach of probation, say police. He’s described as standing six-feet, weighing 200 pounds, with grey hair and green eyes. McCormick is known to frequent Oakville, Burlington, Durham Region, Calgary and Regina. Anyone with information is asked to phone the Burlington criminal investigations bureau at 905-825-4747 ext. 2346 or Crime Stoppers at 1-800-222-8477.